An old collection piece completely re-worked by Andy Cowap. 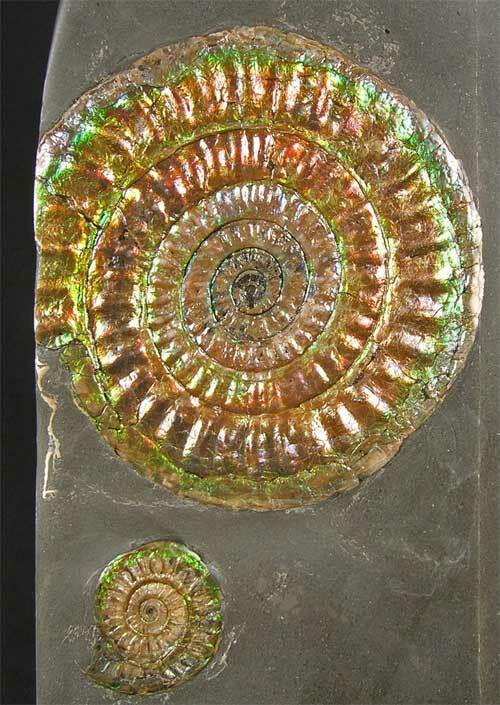 Many hours of preparation has gone into this beautiful coloured double ammonite fossil. 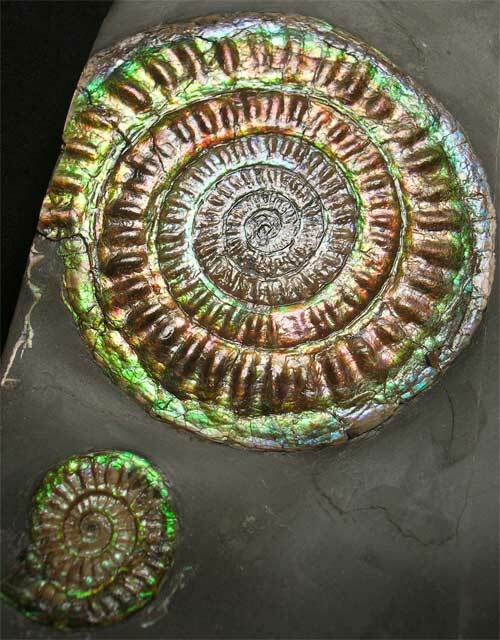 When turned to the light the ammonites display Greens, Purples, Blues, Yellows, Reds and Oranges, truly magnificent natural mother of pearl. 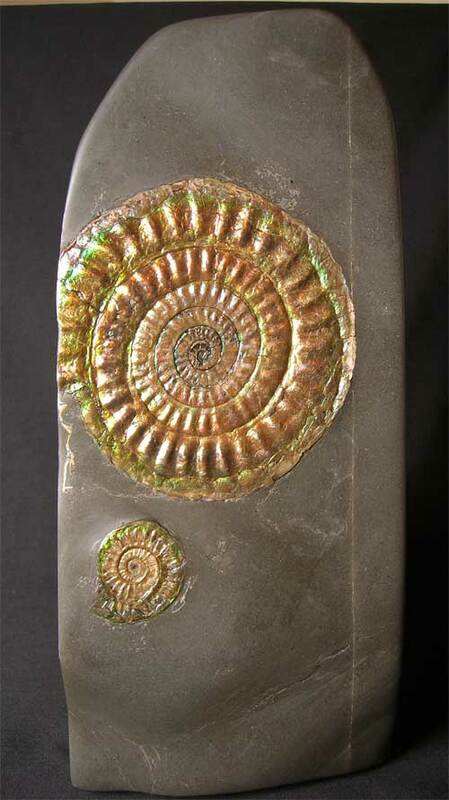 These ammonites are rare and highly sought after by collectors and interior designers alike. The matrix is a smooth shale which has had many hours of preparation, the base is flat for display. 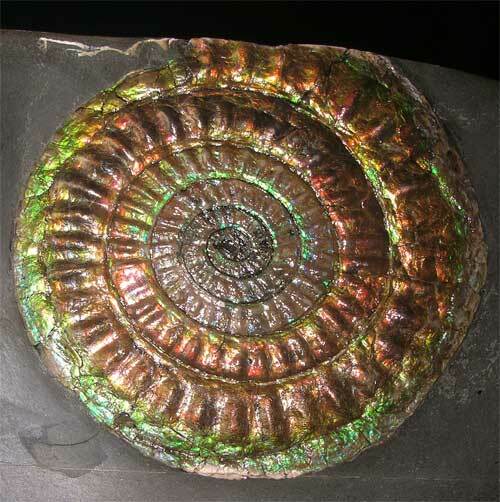 Approximately 205 million years old.